Sally Mann (born in Lexington, Virginia, 1951) is one of America's most renowned photographers. She has received numerous awards, including NEA, NEH, and Guggenheim Foundation grants, and her work is held by major institutions internationally. Her many books include What Remains (2003), Deep South (2005), and the Aperture titles At Twelve (1988), Immediate Family (1992), Still Time (1994), Proud Flesh (2009), and The Flesh and the Spirit (2010). A feature film about her work, What Remains, debuted to critical acclaim in 2006. Mann is represented by Gagosian Gallery, New York. She lives in Virginia. "Sally Mann's Hold Still is just like her pictures: forthright, adventurous, loving, fearless, beautiful, intimate, and somehow uncanny. That means it's probably just like her." 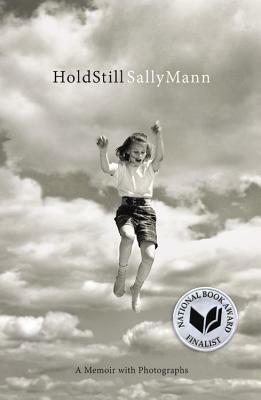 "What I admire most about Sally Mann's new book is not her ability to write captivating sentences--she does. It's the honesty and fearlessness, the two mixed together, compelling her to own up to her mistakes, to acknowledge her winnings, to accept her losses (and those of her family). For this quality alone, Hold Still deserves a fixed place in the library of American memoir."